Good Morning America visited us here at PCR to help them test ‘cool’ clothing. 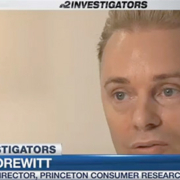 Our Technical Director, Barrie Drewitt helped NBC2 with a recent investigation about fake makeup and what’s in it. Watch this great investigation here. 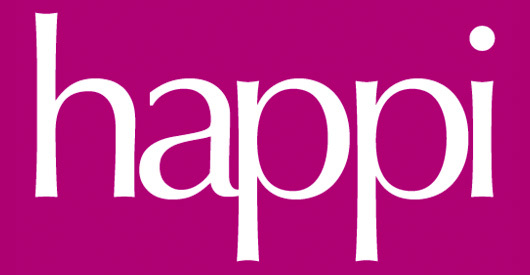 Happi Magazine have a recent article on leading clinical testing organisations and the role they play in todays world. St. Petersburg, FL: Over the past 12 months, PCR has brought a new site into the fold, now offer clients the most diverse geographical population currently available by any other consumer product testing company in the world. PCR offers locations in Princeton, NJ; St. Petersburg, FL; Winnipeg, Canada; Manchester, England and Essex, England. No other consumer product testing company can offer multiple testing locations with the technical ability that PCR can offer. PCR has some of the most advanced equipment for looking at fine lines and wrinkles, SPF values of products. We have five environmentally controlled rooms, too! We have recently added a variety of equipment to our lists at all sites, including: Courage & Khazaka’s Sebumeter, Corneometer, Tewameter, Mexameter, Skin-pH-Meter and Cutometer; Nova Dermal Phase Meter, AquaFlux TEWL; SkiCon, IBS; Solar Simulator, Solar Light Co.; Laser Doppler Blood Flow Monitor, Moor Instruments; HiScope Fiber Optic Microscope, Hirox; Canfield Scientific’s exclusive RBX Technology, Visia-CR; Spectrophotometer CM-600D, Konica Minolta; Whole Face Imaging, REPLICA: Silflo; D-Squame, cured; Eotech 3D Digitalization, Eotech; Episcan, Longport Inc; Clarity Pro, BTBP and the Intellilab imaging system from Canfield. 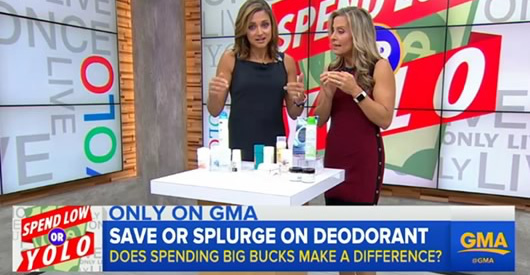 Good Morning America recently visited us here at Princeton Consumer Research as part of their ‘Spend Low or YOLO’ series. We helped them to discover whether an expensive deodorant is better than an average priced one. In 2015 we conducted a clinical trial for ReGrowz. 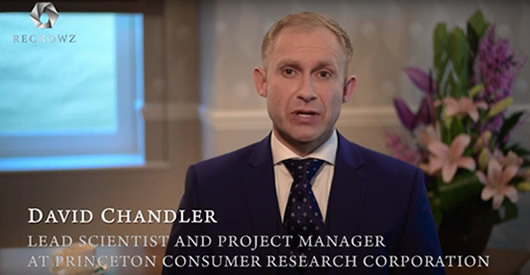 Here our UK lead clinical scientist David Chandler talks about the study and the product. 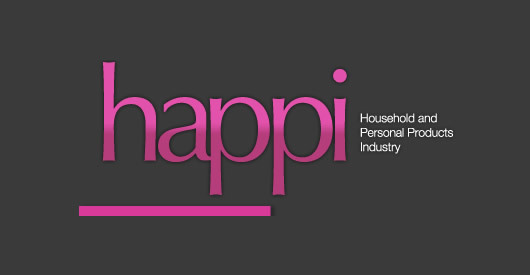 Read The Article on Happi Magazine’s Website? NuGene International, Inc. (“NuGene”) (OTCQB: NUGN), a developer, manufacturer and marketer of advanced skin and hair care lines utilizing adipose derived human stem cells and stem cell media, has announced the findings of an independent study to evaluate the anti-aging efficacy of NuGene’s Universal Cream compared to untreated skin. The Universal Cream active site showed a statistically significant improvement from baseline as early as 4 weeks into treatment in all objective and subjective assessments. The conclusion of the study revealed that Universal Cream applied site had a 45.64% reduction of fine lines and wrinkles (expert visual assessment) and 16.32% improvement in the moisture level (corneometer) after eight weeks of treatment. The single-blinded, bi-lateral facial site study on 30 healthy male and female subjects over 35 years old with aged skin was performed to evaluate the anti-aging efficacy of Nugene’s Universal Cream over an eight week period. The study was conducted over an 8-week treatment period with assessments at the beginning of the study, at week four and at week eight. Twenty-seven subjects completed the study, all of them over 35 years of age and mild to moderate aging of the face. 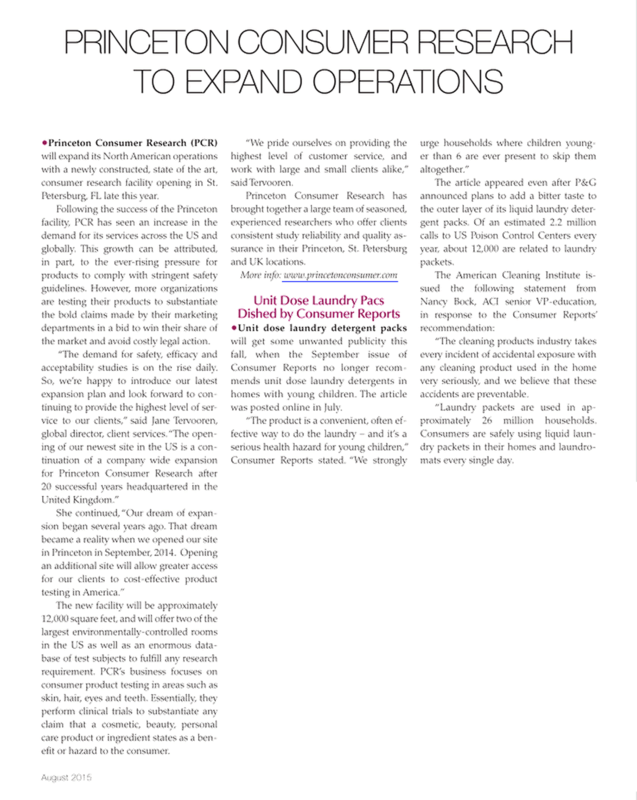 The study was performed at Princeton Consumer Research between March 2, 2015 and May 1st, 2015. Four measurements were used. A Corneometer® was used to assess skin hydration. A profilometry analysis was performed to examine expression-induced lines (crow’s feet.) Expert visual assessments were performed by the same qualified person throughout the test period. A Visia-CR Capture technology was used to capture images of all subjects’ faces during the assessments. Finally, each subject was provided with a self-perception questionnaire for evaluating the product attributes and to get their opinions on the efficacy of the product. No adverse reactions were reported during the study. The placebo sites on each subject’s face showed no significant changes during the study. The active treated sites, on the other hand, showed statistically significant changes from baseline following both four and eight week assessments. About NuGene International, Inc. NuGene International, Inc. specializes in developing, manufacturing and marketing proprietary regenerative cosmeceutical and pharmaceutical products based on adipose derived human stem cell and human stem cell media. The US Department of Health and Human Services calls regenerative medicine the “next evolution of medical treatments”. The regenerative medical market which includes cosmeceuticals and pharmaceuticals was estimated at $7.2 Billion in the US in 2014 and is expected to rapidly grow in the coming years according to RNCOS Business Consultancy Services Global Cosmeceuticals Market report. 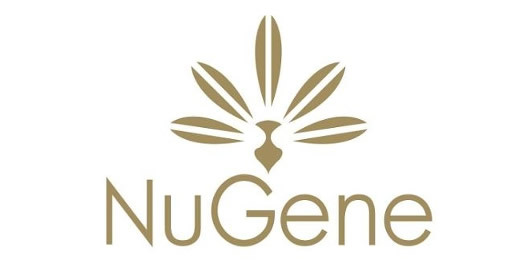 NuGene’s cosmeceutical and pharmaceutical products are based on proprietary stem cell based regenerative formulations derived from non-controversial, adult human stem cell derived media obtained from adipose tissue. NuGene’s exclusive products combine its in-house advancements, proprietary technologies, and patent pending formulations. The company has four patents pending covering 15 unique applications and inventions. NuGene’s goal is to leverage its knowledge and expertise to develop age defying cosmeceutical skincare and hair care products in addition to pharmaceutical products based on the same regenerative science platform. Forward-Looking Statements This release contains forward-looking statements. Actual results may differ from those projected due to a number of risks and uncertainties, including, but not limited to the possibility that some or all of the matters and transactions considered by NuGene International may not proceed as contemplated, and by all other matters and assumptions specified in NuGene’s filings with the Securities and Exchange Commission, especially those risks and other matters described under “Risk Factors” within NuGene’s Form 10-Q filed with the Commission on May 15, 2015. These statements are made based upon current expectations that are subject to risk and uncertainty. NuGene does not undertake to update forward-looking statements in this news release to reflect actual results, changes in assumptions or changes in other factors affecting such forward-looking information. For many years, humans have been conscious of body odor. The age-old problem of sweat and smell is a troublesome issue for some people, especially those individuals who suffer with hyper- hidrosis (excessive sweating). Anthropologist Louis Leakey suspected the original function of body odor was to make humans repellent to animals who sought to eat us. For years now, personal care manufacturers have been redevelop- ing their products on a mass scale, trying to out-do competitors to find that one product that is more efficacious than the competitor com- pany, and thus take or keep, the market lead. This is business worth hundreds of millions of dollars for some companies every year. There is no doubt that the quality of life of many consumers is af- fected by excessive axillary sweat and the associated smells that often result. 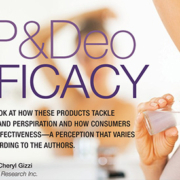 The FDA does offer suggested guidelines for testing the effec- tiveness of an OTC antiperspirant drug product in finished product form, with version 350.60 (21 CFR 350.60) of the final monograph (final rule) for OTC antiperspirant drug products, published in the Federal Register on June 9, 2003 (68 FR 34273). This is only guidance and the FDA recognizes that alternate methods may be appropriate to qualify an antiperspirant drug product as effective. These guidelines do not preclude the use of alternate methods that provide scientifi- cally valid results, subject to FDA approval. To qualify as effective, an antiperspirant drug product in finished product form should meet the criteria established in these guidelines. These guidelines apply to all antiperspirant formulations. There are many protocols that have been developed over the years that fluctuate in their dynamics, from numbers of study participants and activities during the warm up procedure and sweat collection, but the parameters are all standard in terms of the 40 minute warm-up session and disposable pads, to the two sets of 20 minute sweat collec- tion which is measured and then forms part of the study data. During the past 10 years different methods of perspiration con- trol have emerged. For example, Botox has been considered as the way forward for those people who have been suffering beyond the realms of help from over the counter products and regular prescrip- tion medications on offer such as anhydrous aluminum chloride (AICI). Botox is injected into the skin to treat the symptoms of severe underarm sweating (severe primary axillary hyperhidrosis) when medicines used on the skin (topical) do not work well enough in people 18 years and older. It is known that Botox may cause serious side effects that can be life threatening. While this disclaimer may be off-putting to some sufferers, others have reached the point where they are very distressed by their condition, and are eager to try any- thing to get dry, odor-free underarms. During the procedure at the doctor’s office, a small amount of Botox is injected into the affected underarm area through a very fine needle. About 15 injections are made to the underarm area. The ac- tual procedure takes about 10 to 15 minutes and is said to last up to 201 days or 6.7 months.3 Consumers are told they should notice a significant reduction in underarm sweating within four weeks of their first treatment. From the 400 subjects we surveyed, 11 of them had this treat- ment. All reported significant reductions in underarm sweating. Six of the subjects said they still had sweating issues, but not to the ex- tent that they had prior to treatment. When used correctly, antiperspirants are the product of choice by most people and are an effective way to keep sweating under control. Antiperspirants deliver partially neutralized salts of aluminum and zirconium to the opening of the eccrine sweat glands. The eccrine glands are sweat glands that are not connected to hair follicles. They function throughout life by responding to elevated body temperature due to environmental heat or physical exercise. the surface of the skin. For some consumers, excessive use of some products, especially those containing no or little neutralization, cause significant amounts of hydrochloric acid to be produced, which re- sult in complaints of severe irritation in the axillae, with complaints of itching, burning and severe redness. Most products sold at retail, tend not to be so harsh because of the amount of neutralizing they do and do not cause so much irritation. This means consumers can use them on a regular basis throughout the day without any irritation worries. Antiperspirant delivery has changed on a global scale over the past 10 years. It is interesting to note that in the US, shelf space is dominated by stick and roll on products with a few spray cans on the very lower/bottom shelves. In Europe, however, the dominant prod- uct is still the aerosol, which takes up 90% of all AP/deo shelf space. Of the 400 recently surveyed participants, 200 were based in the US and 200 in the UK. This is likely to change significantly during the next 12 months following Unilever’s announcement that it will launch a new Dry Spray AP product in the US. Unilever says it is out to revolutionize the US AP/deodorant market with the launch of its new range, which is rolling out across the company’s leading brands including Dove, Axe and Degree. Featuring a new formula with no water or alcohol, and a preci- sion-designed actuator that produces a unique soft spray, the new Dry Spray goes on instantly dry without the sticky or wet sensation often associated with other antiperspirants, but only time will tell if consumers in the US are ready to give up their sticks and roll-ons. Among the 200 participants surveyed in the UK, 187 used sprays rather that roll-on or sticks. In the US, 43 used sprays, 11 used Botox and the remaining 146 used stick/roll-on products—a huge differ- ence in buying habits. All participants who applied daily AP products claimed to use their products first thing in the morning as part of their initial morn- ing grooming process. And 62% said they reapply during the day at some point at least once. In terms of sales this should be good news for personal care companies that manufacture this type of product, but 87% of all participants claimed they would rather pay more for a product that actually lasted all day without the need to reapply, than a cheaper product that they had to use several times a day. Interestingly, in the UK, 65% of participants did not understand the difference between an AP and a deodorant. Most thought both did the same thing, controlling sweat production and eliminating odor. On initial communication with these subjects, they were asked which products they use now and what products they had used in the past. Many consumers complained that they had switched many times from product to product, in the hope of finding one that actually did stop them from having wet underarms. On closer inspection of the data, which named the products responsible for not stopping the sub- jects from sweating, the subjects had clearly named products that are known to be deodorant with no antiperspirant properties whatsoever. In the US, a nation that has been more educated on the differ- ences through TV and magazine press, only 7% of participants did not know the difference. Of course we know that deodorants don’t have any reinforcements to keep you from sweat- ing—once you apply deodorant to your ax- illa and go for your daily gym session, you’re go-ing to perspire. But deodorant does work to counteract the smell that’s produced after the fats and proteins emitted from cells migrate to the surface of the skin. Deodorant targets the bacteria that hang around armpits. Ingredients like triclosan in deodorants make the skin in your un- derarm too salty or acidic to support the indigenous bacteria that are meant to thrive there.4 Without any bacteria to feast on, the proteins and fats delivered through sweat are scentless. Antiperspirants reduce body odor using the exact opposite prin- ciple: They actually keep you from sweating. Without any sweat, the bacteria found in abundance in your underarms don’t have anything to eat. Most antiperspirants have some of the same ingredients found indeodorantsthatkillbacteriaasafailsafe.Theirmainfunction,how- ever, is to keep you from perspiring. Whether antiperspirant or deodorant, there is a huge market for these products in Western Europe and the US. Deodorant sales in Europe totaled 1.8 billion units worth $6.7 billion in 2012. The largest market was Germany, valued at nearly $1.1 billion and growing 2% a year. France and the UK have similar markets at $968.2 million and $949.3 million, respectively, each growing in excess of 3% a year. Italy and Spain are the smallest of the Big 5, weighing in at $598.3 million and $518.7 million apiece.5 In comparison, US sales of AP products have reached $4.5 billion.